This book is for everyone who wants to secure their financial future but is unsure exactly what to do, because two leading world experts have joined forces to teach you show you how to walk in the footsteps of the wealthy. Drawing on the proven strategies of Michael Yardney, Australia’s leading authority on the psychology of success and wealth creation and American co-author, Tom Corley, who’s internationally acclaimed research on the daily habits of the rich and poor has changed the lives of hundreds of thousands of ordinary people around the world. 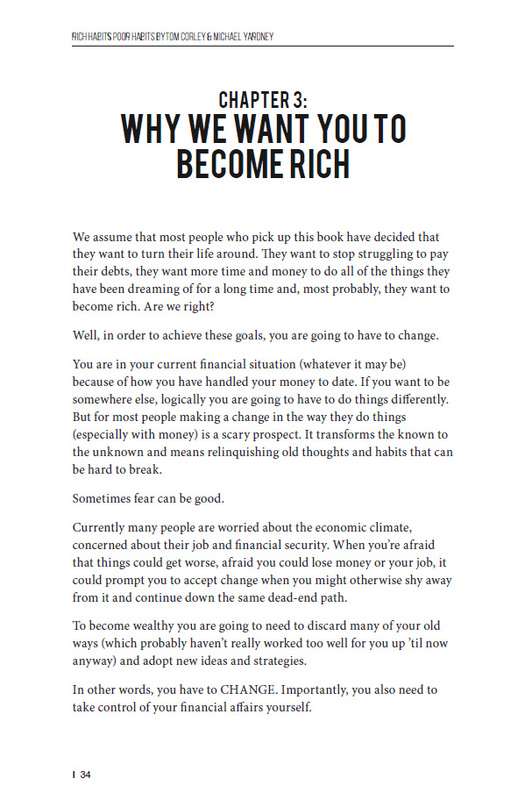 This book is your chance to learn the specific Rich Habits you must have in order to succeed as well as the Poor Habits that you must avoid at all costs. 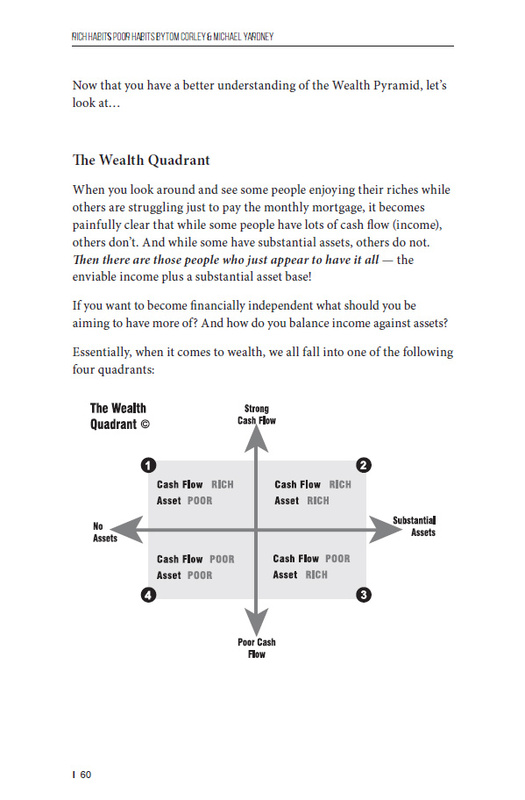 This book debunks the myths and “common wisdom” about how to get rich. 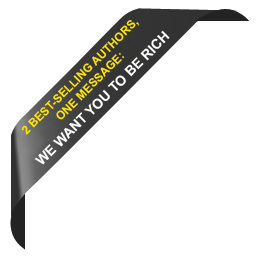 Read it to unlock the secrets to success and failure, based on Tom Corley’s five years’ study of the daily activities of 233 rich people and 128 poor people as the authors expose the immense difference between the habits of the rich and the poor. The easiest way to be good at something is to learn from the world's best. Rich Habits, Poor Habits does all the work to teach you how successful people get rich and stay rich. of Bulletproof Coffee and author of The Bulletproof Diet. and author of The Bulletproof Diet. I’m a big fan of Michael & Tom’s Rich Habits Poor Habits video series & have been looking impatiently to the release of the book. Recommended to anyone who would like to learn the habits of those that are wealthy & more importantly understand how they got there. Habits lead to behaviours & behaviours result in actions. Highly recommended! 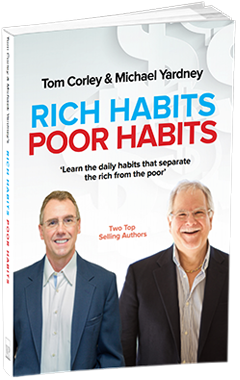 Since the release of Rich Habits Poor Habits in 2016, Michael Yardney and Tom Corley have gone on to share the mindset secrets of the rich and successful to new and bigger audiences. While Michael Yardney is best known as a property expert, he is also Australia’s leading experts in the psychology of success and wealth creation. He challenges traditional finance advice with innovative ideas in his new book: Rich Habits Poor Habits. Michael’s wisdom stems from his personal experience and from mentoring over 2,000 business people, investors and entrepreneurs over the last decade. His opinions are frequently quoted in the media and Michael was once again voted Australia’s best property investment educator and mentor. Over the years he has probably educated more successful property investors than anyone else in Australia. In his latest book Rich Habits Poor Habits, together with co-author Tom Corley, Michael helps you discover how the Rich Habits that make rich people rich and the Poor Habits that you need to avoid. Get more of Michael Yardney’s advice by subscribing to his daily commentary here. Tom Corley understands the difference between being rich and poor: at age nine, his family went from being multi-millionaires to broke in just one night, due to a catastrophic fire that destroyed his Dad's thriving business. 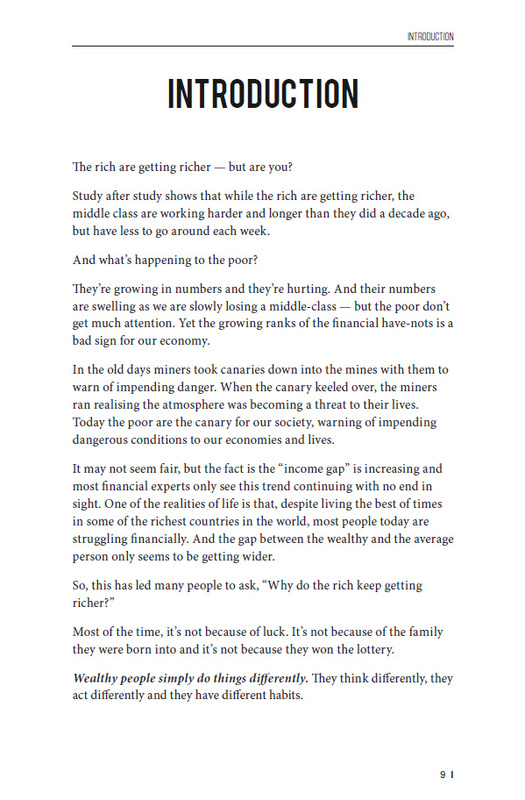 For fourteen years they struggled with poverty. There were eleven in Tom's family, and they lived in constant fear of losing their home. Tom now travels the world, sharing his Rich Habits and motivating audiences at industry conferences, corporate events, universities, multi-level marketing group events, and global sales organizations’ presentations and finance conferences. He has even spoken on the same stage with famous entrepreneurs and personal development experts, such as Sir Richard Branson, Robin Sharma, Dr. Daniel Amen, and many others. Tom has shared his insights on various national and international network, cable, and Internet television programs and has been featured in numerous print magazines—such as Money magazine, Inc. Magazine, SUCCESS Magazine, Entrepreneur magazine, Fast Company magazine, More magazine, Epoca Magazine (Brazil’s largest weekly) and Kiplinger’s Personal Finance magazine—and various online publications, including USA Today, CNN, MSN Money, SUCCESS.com, Inc.com, and the Huffington Post. Tom is a frequent contributor to Business Insider, Credit.com, Bankrate.com and a few other media outlets. Tom is also a CPA, CFP, and hold a master’s degree in taxation. 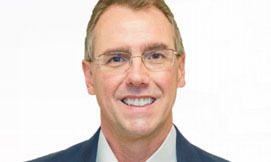 As president of Cerefice and Company, CPAs, Tom heads one of the premier financial firms in New Jersey. Subscribe to his Rich Habits daily tips by clicking here.